LEC can bring you high-tech solutions from whole house automation, the latest in residential security systems, state-of-the-art home audio and video solutions, residential EV charging stations, and LED and energy-efficient upgrades. When choosing an electrical partner, it's important to choose a company you can trust. 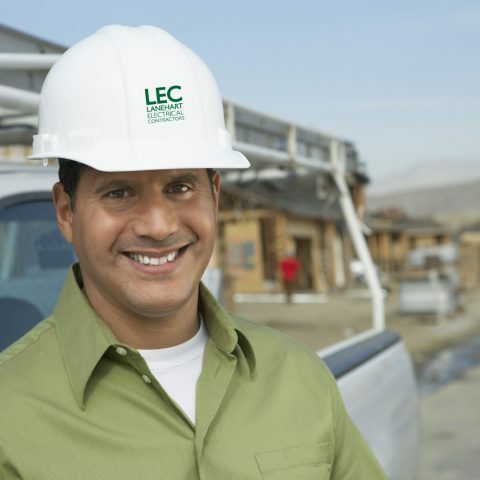 LEC has a 60-year reputation of high-quality service, national relationships with leading manufacturers and suppliers, and an industry-leading safety record. Let us put that reputation to work for you. Lanehart Electrical Contractors has built a reputation synonymous with service. Because with us, it’s quality that counts and our goal is to maintain lasting relationships. LEC has thrived for over 60 years. We’re the only source you need for any electrical system. Because of our commitment to our clients, LEC has grown from its beginnings in Houston, Texas to servicing areas in over 12 US markets. We are dedicated to providing quality workmanship, timely completion of jobs, competitive quotes and meeting all customer expectations. We provide professional services with a key focus on customer satisfaction. Our installations are performed by fully-trained, licensed electricians held to the highest professional standards. Wiring residential homes for over 60 years has provided LEC an unmatched level of expertise, a commitment to service and a process that’s highly efficient and cost effective. Control every light, appliance and device at your command. Regulate and monitor your home’s security system remotely. Conserve energy to lessen your environmental impact and save you money. Create mood or ambience. Protect your family by having LEC install a state-of-the-art security system, including options for remote camera monitoring and motion activated alerts.